His Sufjanness is back and he’s making us all very sad. Well flagged in advance, Carrie & Lowell refers to his late mother and stepfather. Carrie died in 2012, providing the immediate catalyst for this most beautifully elegiac set of songs. More than that, though, Carrie shaped Sufjan’s upbringing by abandoning him on various occasions from his very earliest years. In one sense, the narrative can be delivered perfectly straightforwardly. “When I was three, three maybe four”, we’re told, “She left us at that video store”. Her leaving must have been as difficult to comprehend then as it is now. “What did I do to deserve this now?”, he asks, “How did this happen?” But in the end there’s no rancour. No bitterness. “I forgive you, mother”, he cries. Yet closure is almost impossible. “What’s left is only bittersweet, For the rest of my life”. Framed by fragile vocals. Wrapped in wondrous melodies. The songs are as heartbreaking as the story itself. Perhaps the most affecting moments are on ‘Fourth of July’. Set on her deathbed, the lyrics are full of endearments. “My firefly”, “My little hawk”, “My little dove”, “My little loon”. At times, Sufjan sings both of his mother and to his mother. “Such a funny thought to wrap you up in cloth, Do you find it all right, my dragonfly?”. But in an almost imperceptibly different register, he also sings as his mother. “Did you get enough love, my little dove, Why do you cry? 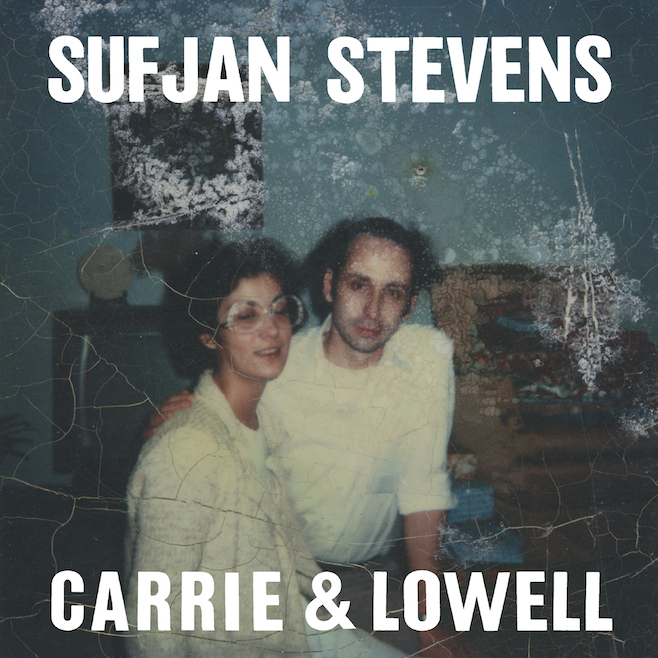 And I’m sorry I left, but it was for the best, Though it never felt right, My little Versailles.” While Carrie & Lowell can be read like a novella told in almost linear fashion, what’s striking are the allusions and asides that complicate the story and add depth to it. There are references to Greek mythology and, naturally, to The Bible. There are also half-mentions of places and events that no doubt resonate personally, but to which we are not made party. And then there are the outbursts whose meaning we can only wonder at. “Head of a rabbit”. Carrie & Lowell may be the result of a lifetime of disconnection, but it’s also a product of enduring love. It’s a combination that finds Sufjan Stevens at his most moving lyrically and his very best musically. Posted in Sufjan Stevens and tagged as Music, Review, Sufjan Stevens.